I love Korean television drama (K-Drama), and it&apos;s not just because I was born in South Korea. I love it for the same reasons I love New Girl and The Mindy Project. I love it even more than those shows (and that&apos;s saying a lot) for one simple reason: K-dramas, unlike TV series in the U.S., display something rarer than a brand-name t-shirt on a hipster: they have strong, un-stereotypical, female Asian leads. It&apos;s something you don&apos;t see often on NBC, TNT, or even HBO, but I think it&apos;s something the U.S. is ready to embrace. After all, we&apos;re already there when it comes to shows that pose lead female characters as the reason viewers tune in every week. I already mentioned New Girl and The Mindy Project, but there&apos;s also Scandal, Community, and Girls — you can hardly change channels these days without seeing a woman heading the pack. And it&apos;s about time shows in the U.S. started featuring girls like Mindy who are able to say to a guy on a date, "My body is very attracted to your body, but when you speak, my brain gets angry." But, speaking as a double-X Asian-American, there aren&apos;t a lot of mes to look at on the small screen (don&apos;t even get me going about the big one). This is such a problem for actors and actresses that Asian-Americans are heading to Asia in order to forge decent careers in the entertainment business. Careers where they can play honest roles without having to A) roundhouse kick someone at some point, B) get intense in the sack, or C) drop geeky knowledge in a socially unacceptable way (Glee and every single high school melodrama from the 1980s onward is guilty of this). Even Modern Family, known for its progressive portrayal of gay characters, can&apos;t help but make a "typical Asian" joke now and then. Just this season, when Lily, the adopted Vietnamese daughter of Cam and Mitchell is ready and eager to get to school, Mitchell cracks, "Sometimes, I forget to factor in the Asian." 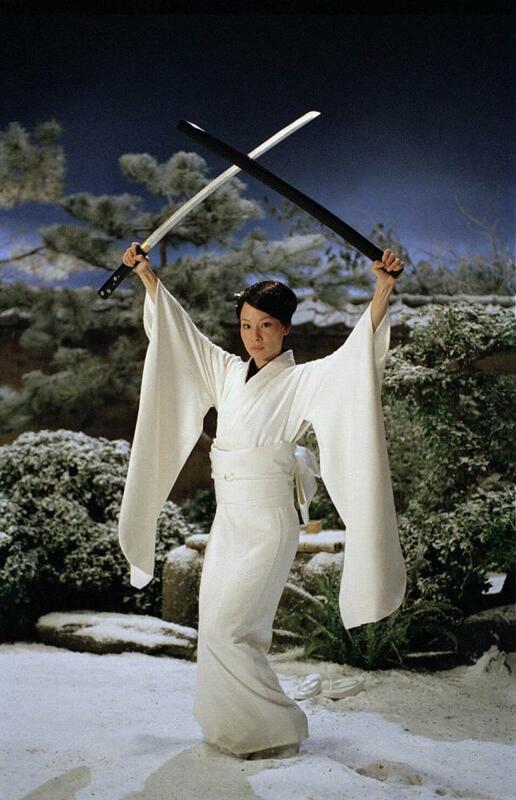 It&apos;s great that there&apos;s been a tradition of strong Asian females in kung fu films, but what about the Asian girls who can still cry over boys without letting them rule their lives? Asian girls who get excited about baseball and computer science? Asian girls who love marshmallows just as much as they do ramen? If you&apos;ve been looking for these women, look no further than Korean dramas. Korean dramas are filled with fully developed, astereotypical Asian women. In the K-Drama Answer Me 1994, lead Na-jeong is both an engineering major and a basketball fan girl. The show tells a compelling story about first love — all with awesome 90s references. In Marry Him If You Dare, the main character, Mi-Rae, gets her life together and becomes a major scriptwriter (and rejects the I-need-a-man-to-be-happy ending trope to boot). Finally, in the best known K-Drama, Boys Over Flowers, Jan-Di is the classic plucky heroine who wins over the snobby boys in her high school by sticking up for the little guy and making her opinion known. These shows are not just "Gangam Style," they&apos;re Felicity, Buffy the Vampire Slayer, and Gilmore Girls — often brilliant, youth-oriented shows. They have us glued to the screen every week, agonizing over a misinterpreted class note, cheering at the homecoming game, and crying over an unrealistically glamorous prom. Teen melodramas like these always find an audience in the U.S., but right now the CW is full of supernatural fare, and ABC Family for the younger crowd. Nobody is doing a straightforwardly great teen drama like Gilmore Girls. There&apos;s a programming hole that needs to be filled. And this hole would easily be filled by K-dramas. K-dramas are especially primed to fill out American programming because television may finally (finally) be starting to feel its way to giving Asian girls time on the screen — and not just in the context of crappy punchlines for pseudo-racist jokes. Korean pop culture is trending — think of Psy and "Gangam Style," awesome indie rappers like Awkwafina, and all those viral videos that have started coming out of Korean talk shows (hello, dancing Loki). What does all this mean? It means America may be ready to embrace K-dramas — and we should.